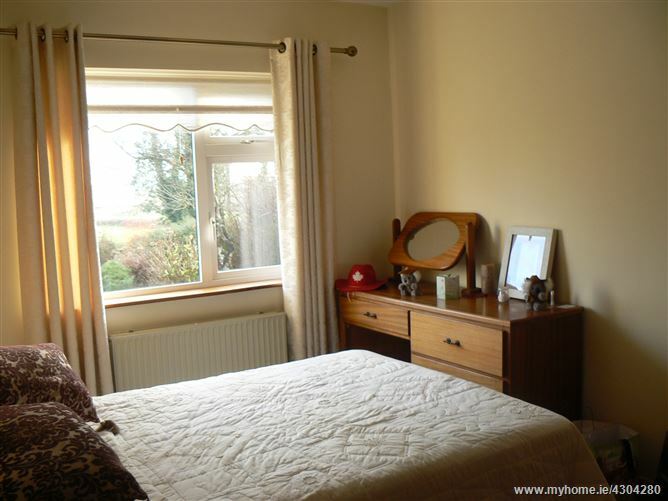 Fine spacious 4/5 bedroom bungalow residence of generous proportions set on beautifully landscaped gardens both front and rear incorporating lovely views of the surrounding countryside. Highly convenient location approx. 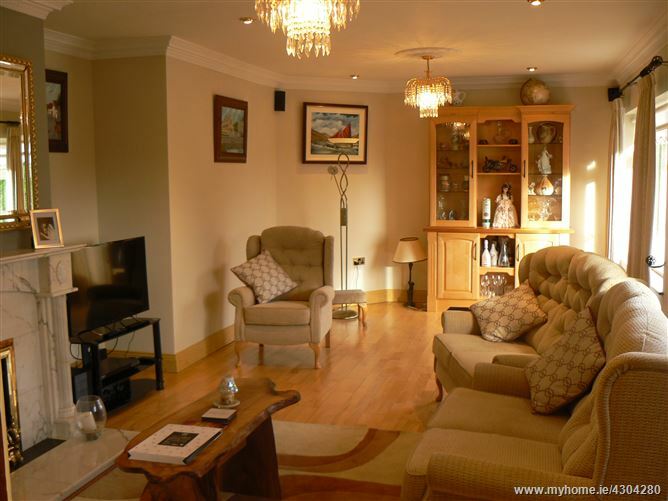 3 miles Monivea and Abbeyknockmoy and within 10 minutes from Annagh Hill Junction onto new Motorway offering excellent access to major routes. 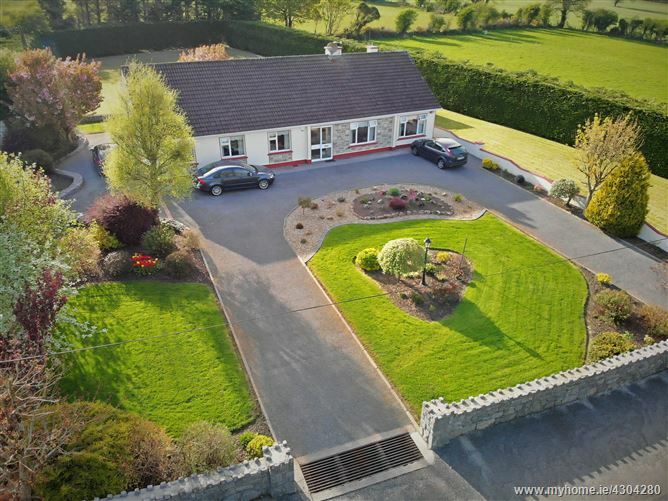 The property is located on the Abbert road midway between the two villages of Monivea and Abbeyknockmoy approximately 18 miles from Galway City in an idyllic well-established country residential location. 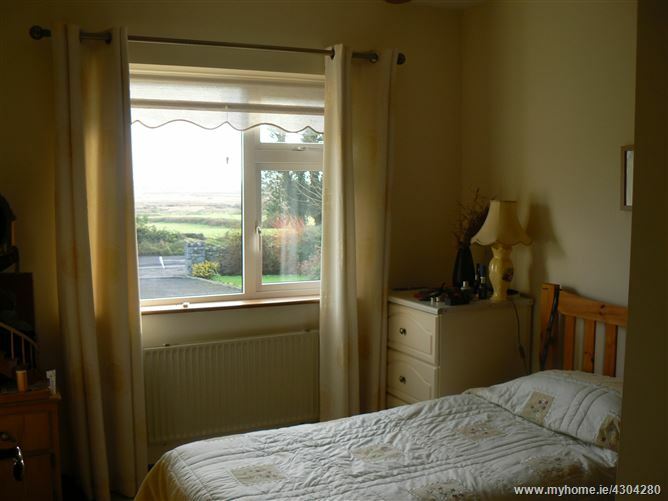 The property enjoys excellent local residential amenities in the nearby attractive country villages of Monivea and Abbeyknockmoy which are approximately 3 miles from the property and within easy commuting distance of Galway City. 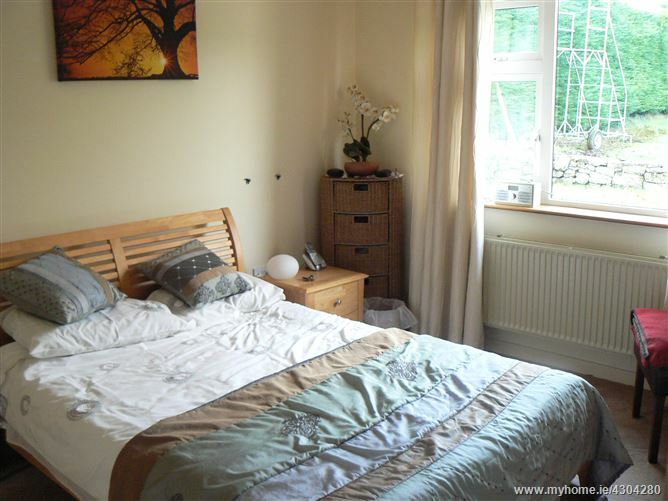 The property benefits from an excellent choice of local national and secondary schools in the local catchment area. 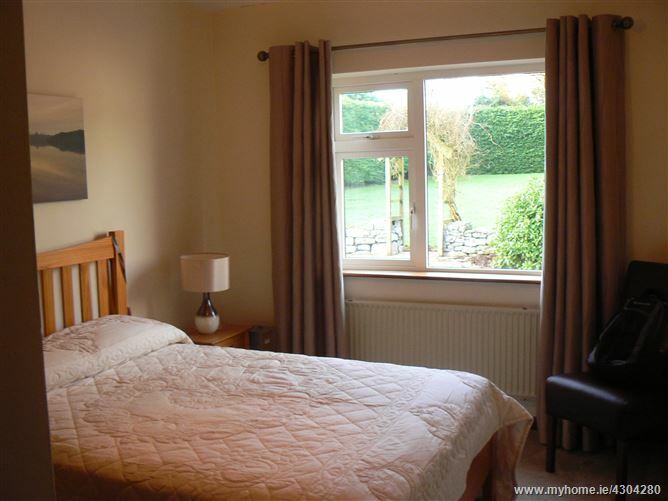 Mountbellew Golf Club is within a 15 minute drive. The nearby towns of Athenry and Tuam provide excellent shopping and retail outlets and serve as local catchments hubs. The recently opened M17 / M18 Tuam to Galway Motorway can be accessed at nearby Annagh Hill on the Galway side of Abbeyknockmoy which is about 10 mins and provides superb accessibility onto all major routes. The nearby towns of Athenry and Tuam offer excellent Secondary Schools and there is a bus service locally. 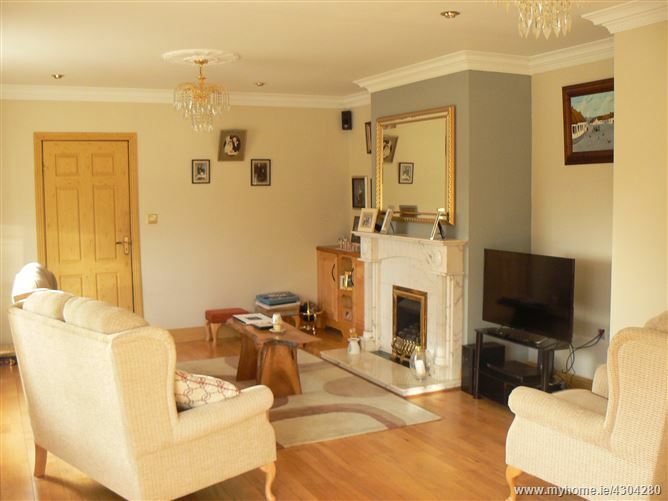 This beautifully presented spacious family home nestles on a superb landscaped elevated site midway between Monivea and Abbeyknockmoy at Abbert. The property was built in 1984 and is of concrete block wall construction together with a concrete tiled roof. 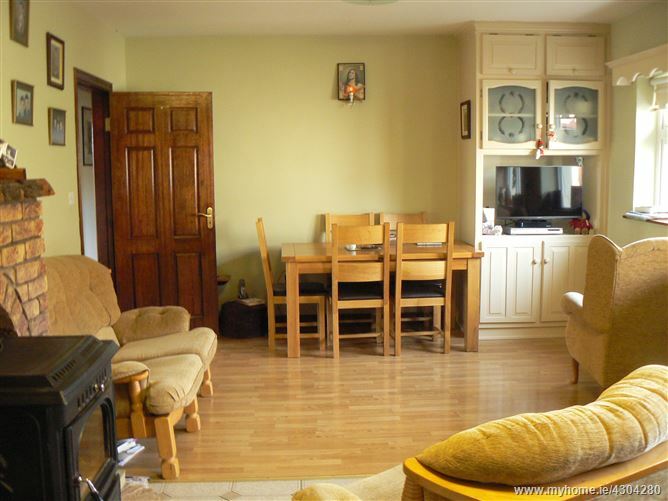 The property benefits from PVC double glazed windows throughout together with front entrance porch with sliding PVC door and a dual central heating system via oil fired central heating and a solid fuel stove to the kitchen area which heats the water and radiators also. The property has benefitted from insulation upgrading with the external walls having been pumped and insulation to the attic which is floored out and with stira stairs access. The property extends to approximately 1,640 sq.ft (gross internal floor area) and is in excellent condition and offers a beautiful family home with an inviting atmosphere and character throughout. A feature to the residence is the large main living room to the front of the house with marble fireplace and splendid timber floors, coving, centre pieces and excellent views to the front of the property. 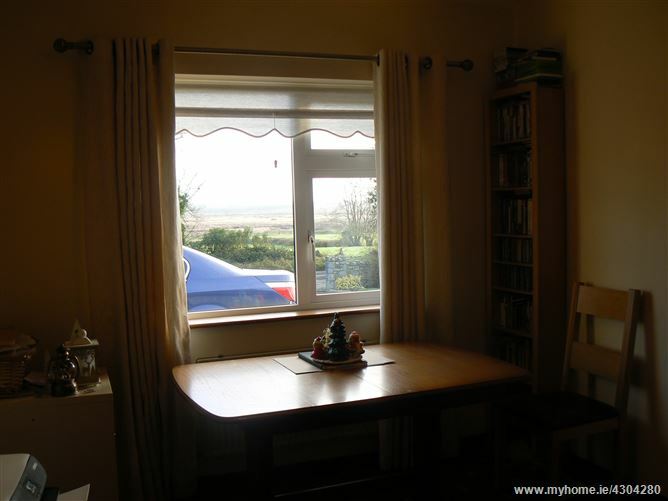 A well laid out kitchen / dining area overlooks the rear garden and there is a good size utility, toilet and store area to one side. 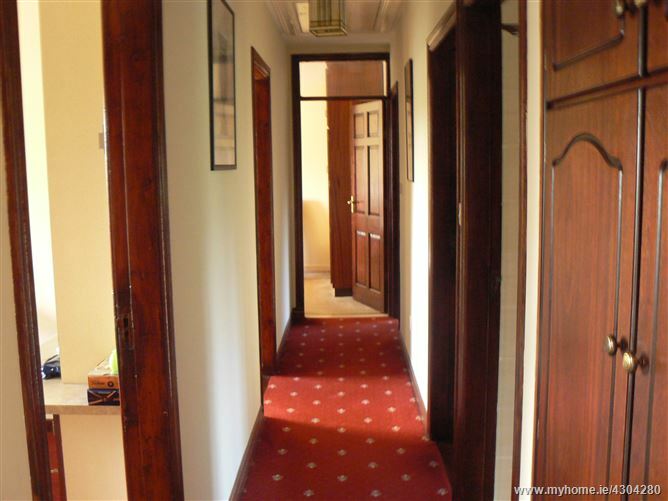 There are four bedrooms, one of which is en-suite, together with a study / playroom or a 5th room, all off a central corridor from the front entrance hallway. 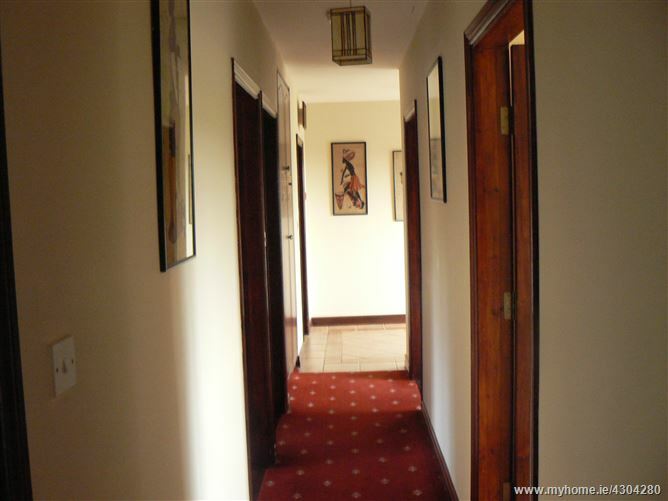 Outside the property is beautifully landscaped and boasts excellent mature and private gardens. 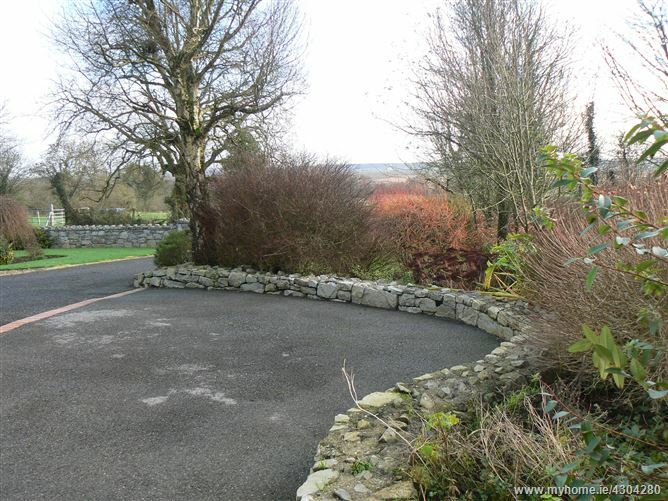 The house is approached by a tarmacademed double entrance driveway with front stone boundary wall. There is also tarmac to the side and rear of the property and incorporating lovely landscaped areas with low stone walls, attractive rear patio and a fine spacious rear garden enclosed with high hedging. To the rear of the house is a spacious storage shed currently used as storage and turf shed to side. 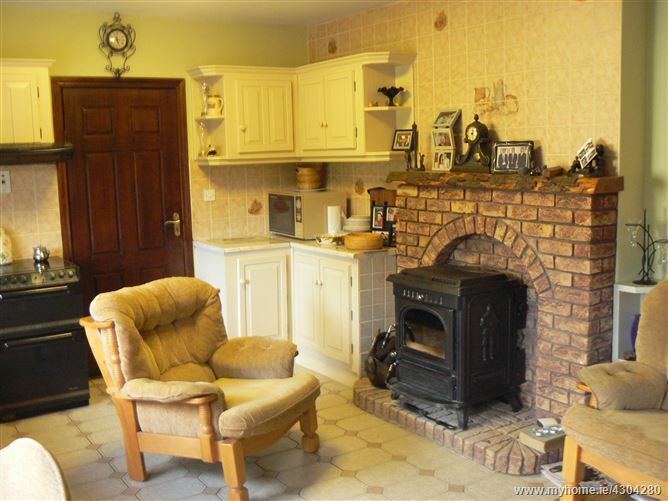 The property has an oil fired central heating system together with a large solid fuel stove in the kitchen. 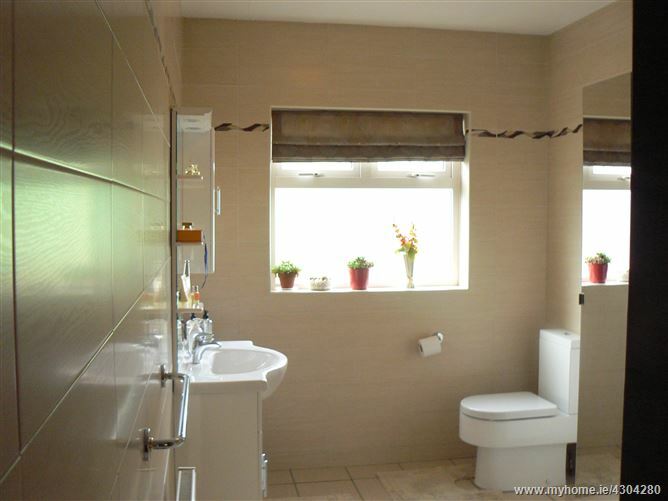 The spacious family shower room completes the accommodation of this very attractive family home. 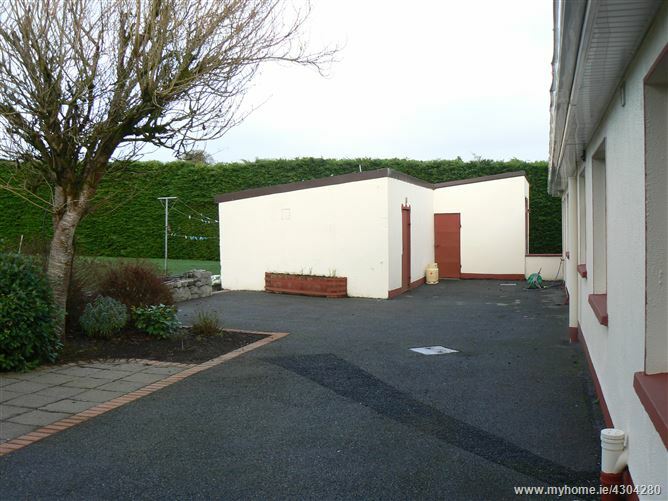 Excellent opportunity to acquire a very attractive bungalow home full of character and atmosphere set on a beautiful landscaped site in a very convenient location only 3 miles from Monivea and Abbeyknockmoy and approx. 18 miles Galway City in lovely sylvan country side. An excellent opportunity to acquire a ready to walk into family home finished to a very high standard in a well-established residential area. For further details please contact Cathal Moran Auctioneers and Chartered Surveyors. 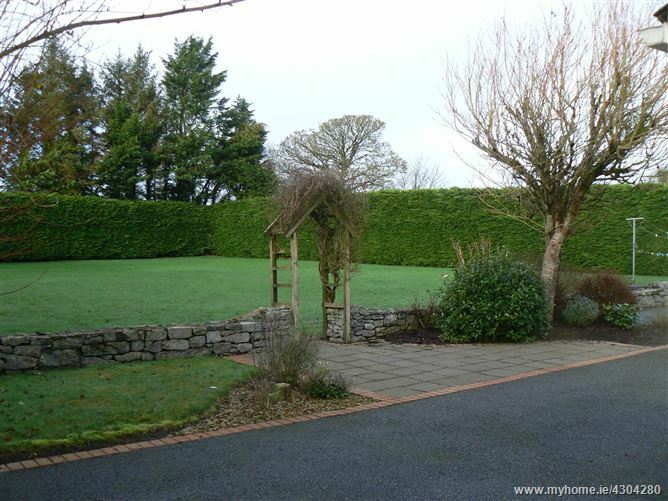 Landscaped front garden and side lawn area with separate gate.